Traveling is a brutality. It forces you to trust strangers and to lose sight of all that familiar comfort of home and friends. You are constantly off balance. Nothing is yours except the essential things – air, sleep, dreams, the sea, and the sky – all things tending towards the eternal or what we imagine of it. 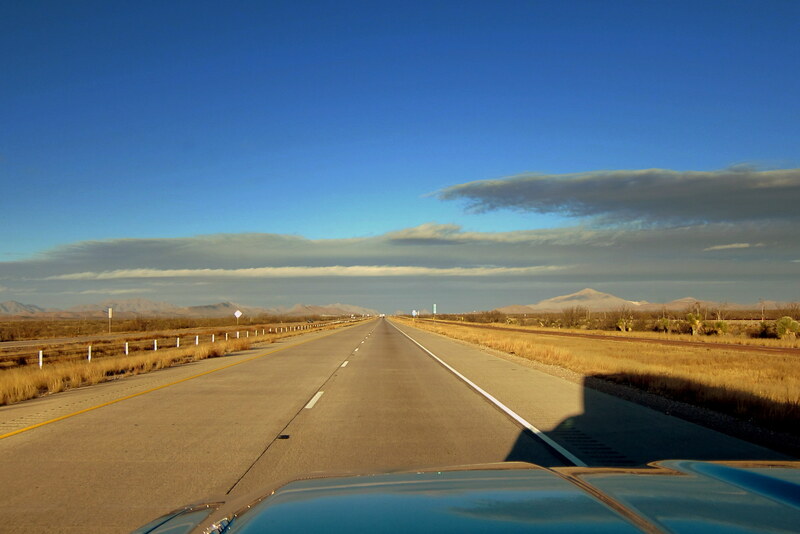 Monday, November 30, 2015: Previously on Bill and Kit’s Not So Excellent Adventure, our traveling duo were holed up in the West Texas town of Van Horn while dealing with an ailing truck and faced with a long slow drive to the nearest Chevrolet dealer in El Paso, Texas. Well, last night there was a significant amount of time devoted to online reading of various diesel truck forums for information on similar problems. It appears that a fresh helping of diesel fuel and topping off the Diesel Exhaust Fluid (DEF) tank, basically a transfusion of sorts, may sometimes fix a problem similar to ours. At 0745, under brightening skies and warming temperatures, Kit and I drove out of Mountain View RV Park and made tracks for the nearest fuel station…..and, the pumps weren’t working! So down the main drag we limped in the hopes of finding fresh life blood for the engines circulatory system (like the biologic metaphors?). At the west end of town, which is clearly visible from the east end of town…..yep, it’s that small, we found diesel! After topping off the fuel and DEF tanks, the truck did seem to run better however the Check Engine Light was still illuminated. 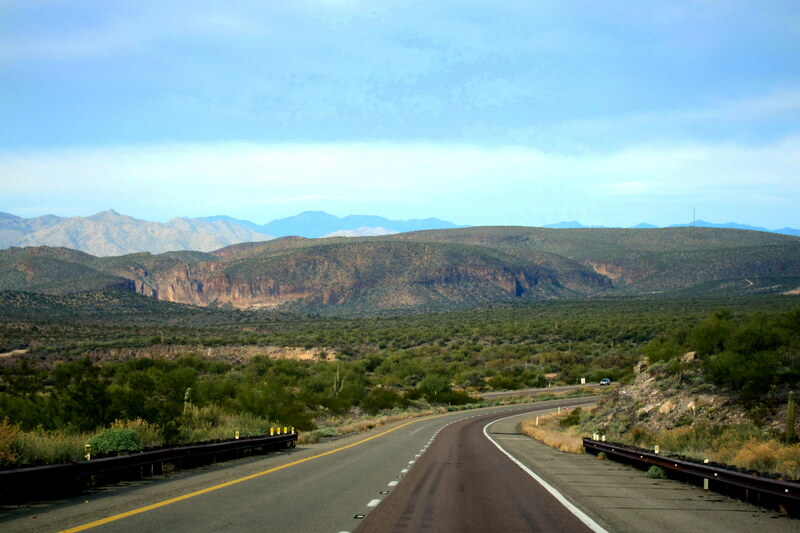 Pulling onto I-10 and heading west, Kit and I were pleased that the truck was back to full power effectively reducing our expected four hour drive to an hour and a half. Within a few minutes, humming along to Willy’s “On the Road Again” we crossed into the Mountain Standard Time Zone. 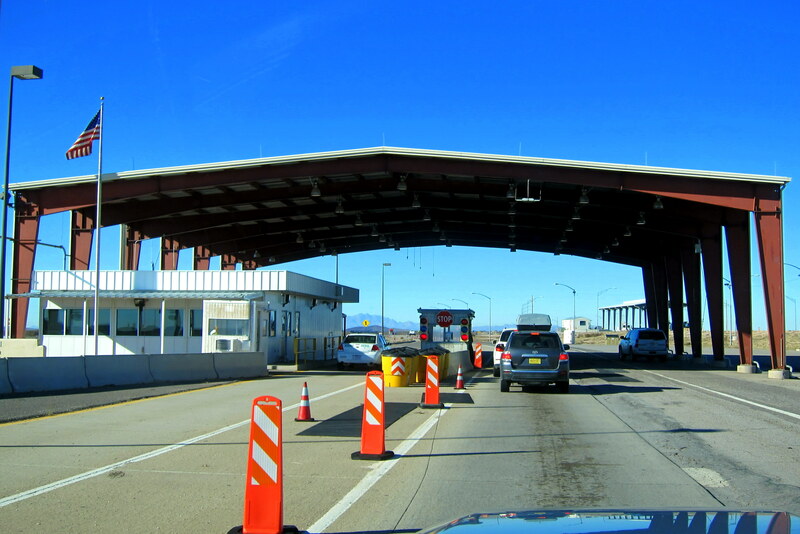 We maintained normal speed for the duration of the trip…..well, except for the stop at a Border Patrol checkpoint, but after a few questions by the agent we were on our way once again. 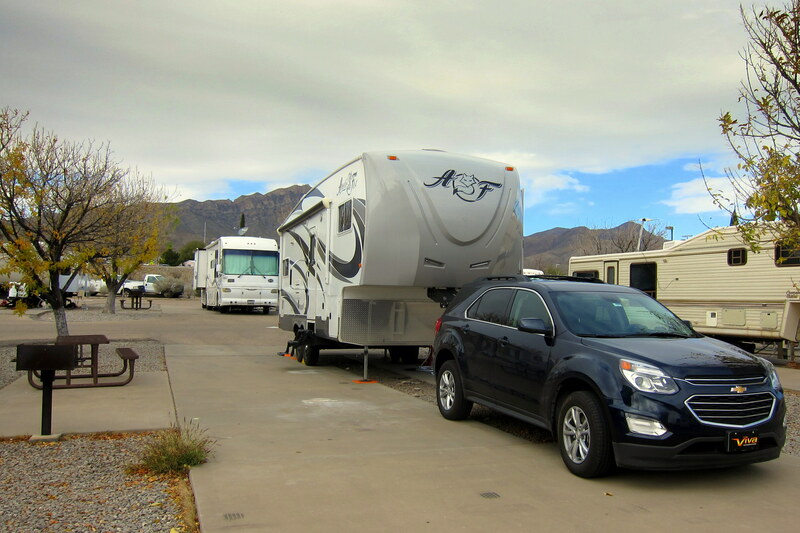 As Kit and I neared El Paso, she called the military campground at Fort Bliss and secured a spot for the next few days, and I called Viva Chevrolet on the Bluetooth connected phone to explain our dilemma. Stacy, the service advisor, said to come on in when we got settled at Fort Bliss and she would put us in the repair queue. After dropping and setting up the camper at Fort Bliss, Kit decided to veg (do laundry) at camp while I drove the truck four miles to the dealer. Stacy was wonderful and very understanding of our plight that we were just passing through and needed quick attention. She put us ahead of other repair jobs and arranged the use a loaner car for the duration of our stay. With the truck in good hands I drove the Chevy Equinox, a nice little car by the way, back to the campground. It’s been a rather long couple of days, so we just hung around the campsite, relaxed with glass of wine and an excellent camper-cooked meal, then turned in early to read…..zzzzzzzz! Wednesday, December 16 and Thursday, December 17, 2015-Fort Bliss, El Paso, Texas: On past cross country trips this city has usually been a multi-day stop for us anyway as we make our way to the left coast…..but with the truck in the hospital it may be a longer stay than normal. 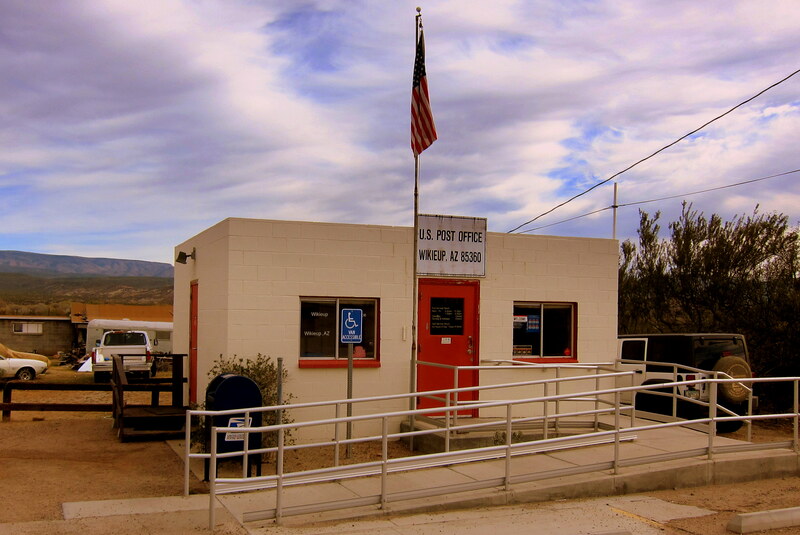 The Fort Bliss RV Park provides a perfect opportunity to do laundry, visit the Post Exchange and Commissary for supplies and ready the truck and trailer for the next leg of the trip. It is a nice military campground with lower overnight fees than most, they even offer discounts for National Park Senior Pass holders! Around mid-morning I received a call from my new friend Stacey at Viva Chevrolet. WARNING—–Lots and lots of technical verbiage follows…..if this stuff makes your eyes glaze over, kindly skip the next four paragraphs! Stacey relayed that the diesel service technician had run a series of diagnostic checks and noticed a Trouble Code (TC) that had been logged in the Engine Management System (EMS) which set the Check Engine Light (CEL) on the dash. (Hey, I warned you thinks were about to get overly technical!). The EMS is basically the computer processor that manages and monitors all aspects of the engine and drive train. The TC indicated that the trucks Diesel Particulate Filter (DPF) had become partially clogged with soot either due to bad fuel, bad Diesel Exhaust Fluid (DEF) or a malfunctioning part……It was basically FUBAR! Modern diesel engines create more horsepower, produce greater torque, and emit far less pollutants than in the past. Part of the technology that makes this so, is Selective Catalytic Reduction (SCR) which reduces the inherently dirty diesel exhaust into less harmful nitrogen and water vapor while maintaining the power and fuel economy diesel engines are known for. A component of this process is injecting DEF into the exhaust stream. DEF, just like modern gasoline and diesel fuel, has a specific length of time that it remains effective, a “shelf life”…..and out of date DEF creates a SNAFU. Even though they were able to reset the trouble code and the truck appeared to be running normally, the tech recommended some preemptive maintenance since the truck was still under warranty. The sole “component part” that could have caused the problem was the DEF Injector, and even though it tested “good”, they decided to replace it anyway. Next, not be content to see if the EMS would force an automatic Regeneration (Regen) procedure they used a GM scan tool to force a manual Regen to clean out the DPF. A Regen is basically a normal procedure required of a modern diesel engine that periodically cooks off any soot captured in the DPF by using extremely high exhaust heat. Note—–If you skipped the previous four chapters than here is a synopsis: “The go thingie under the hood was misbehaving and now it’s good”. Viva Chevrolet wanted to hang on to the truck and rerun it through the complete battery of tests to ensure there weren’t any other issues. Not a problem, Kit and I appreciate their conscientiousness and we still have the loaner…..which was used to make a run on the Post Exchange. Kit and I travel with a fair amount of technology and among those devices is a couple of iPads. Mine is fairly new, but Kit’s is a few years old and every iOS update causes it to run slower and slower. 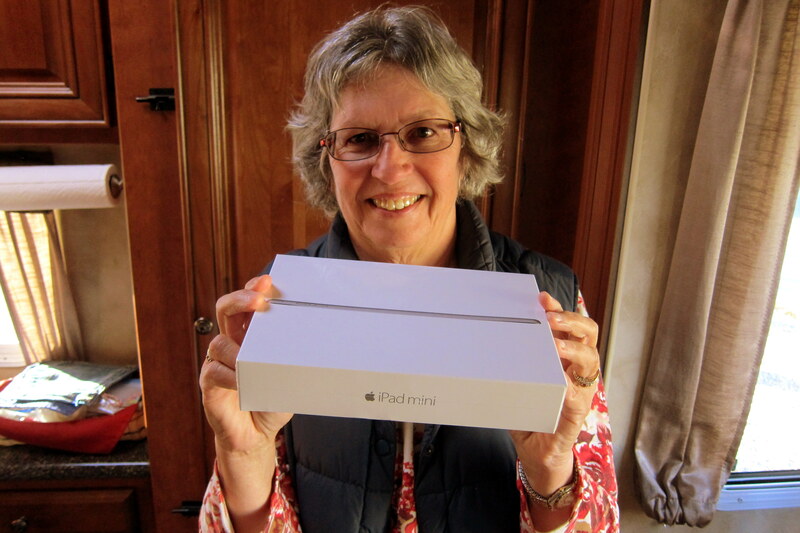 So it was time for an upgrade…..and the Post Exchange had a large variety of iPads with great prices! You can tell by the smile on her face that she is now one happy camper (pun intended)! Kit and I have tried to stay fit while on the road, mainly by tracking our steps with a FitBit. In addition to our normal daily steps, we both enjoy walking around our newest location to see where everyone hails from and to scout out the various types and styles of RV’s folks use to travel in. On one of these walks about the campground, I heard a low rumble from skyward and noticed this strange looking beast slowly moving across the sky. 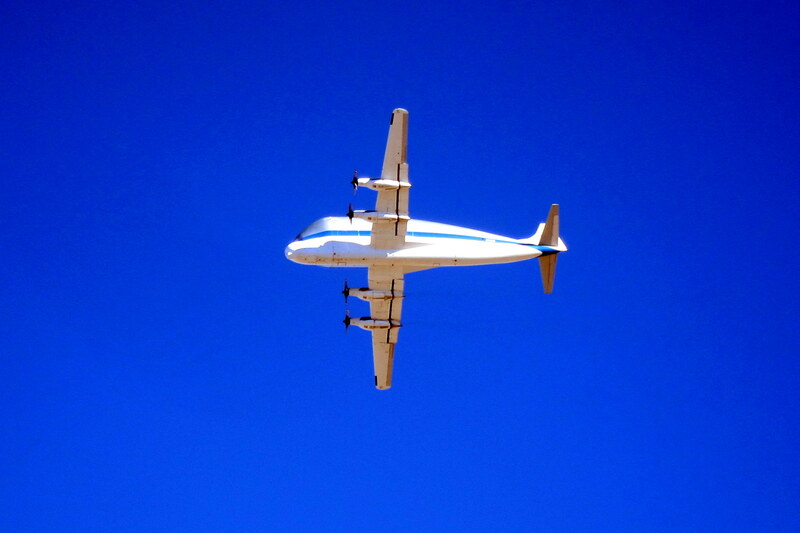 A quick check on my phone with Professor Google identified it as a B-377-SGT, known as the Super Guppy. These small planes with an expanded fuselage were manufactured fifty years ago by converting existing Boeing-377 Stratocruiser’s. They were engineered and built by an American manufacture solely for transporting oversized cargo. 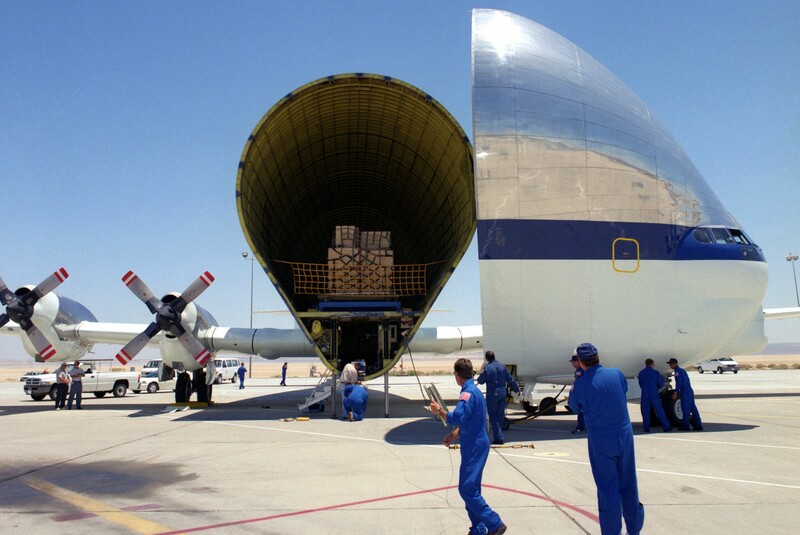 Of the five original Super Guppy’s, only one remains flying, is based out of El Paso, and is used by NASA for moving large space components about the country. Late yesterday afternoon, Stacey from Viva Chevrolet called and said that the truck was ready…..so off I went. Before leaving the dealership, I was able to talk to the diesel service tech and get a better understanding of the care and feeding (pun intended) of our new truck. At this point, I have to mention the wonderful and professional service by Viva Chevrolet…..in my opinion they are one of the best! Also, so GM doesn’t get negatively called out by my experience, a quick search of the internet shows that all diesel powered cars and trucks can, and do, have problems with their emission control systems from time to time……gotta watch the age and quality of the DEF used! It has been a great stay at Fort Bliss, as we were able to get the truck back in top running order, do a little shopping, and relax a bit as well. Tomorrow we head to Tucson for a quick visit with my bruzzin and my sister-in-law! 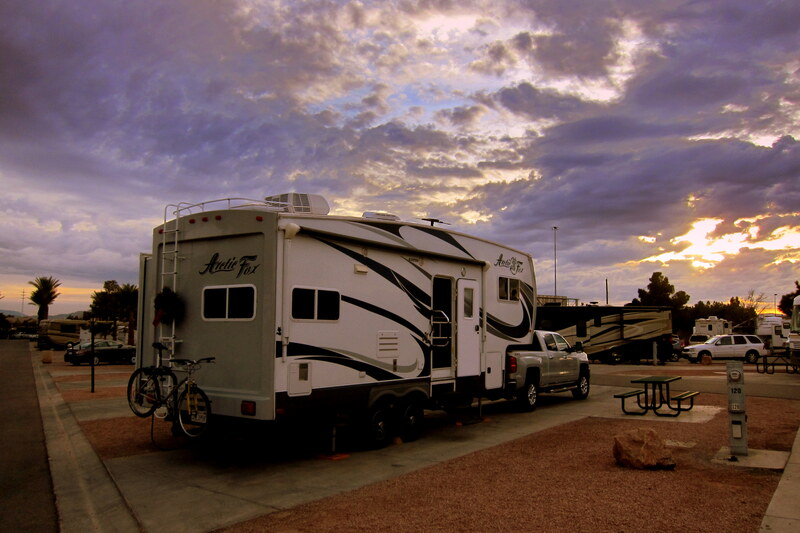 Tuesday, December 15, 2015: Pulled out of the campground at Fort Bliss, Texas at 0825 hours under sunny skies and a temperature of 32 degrees. Yikes…..it’s warmer back home in Maine where their temperature is a balmy 48 degrees?!?! Can’t go much farther south without crossing the border into Juarez, Mexico so we’ll have to continue west in the hopes that the temperatures will rise at some point. Back on I-10 and the truck is running great. Within the hour Kit and I crossed the border into New Mexico and pulled off at a roadside rest for breakfast and our second cup of morning coffee. Back underway we came to our second Border Control checkpoint of this trip, but certainly not our last. The agent was professional and friendly…..a marked improvement from the universal surliness of agents a number of years ago. He asked the basic questions, noticed my veteran’s plate and thanked me for my service, then quickly got us on our way. 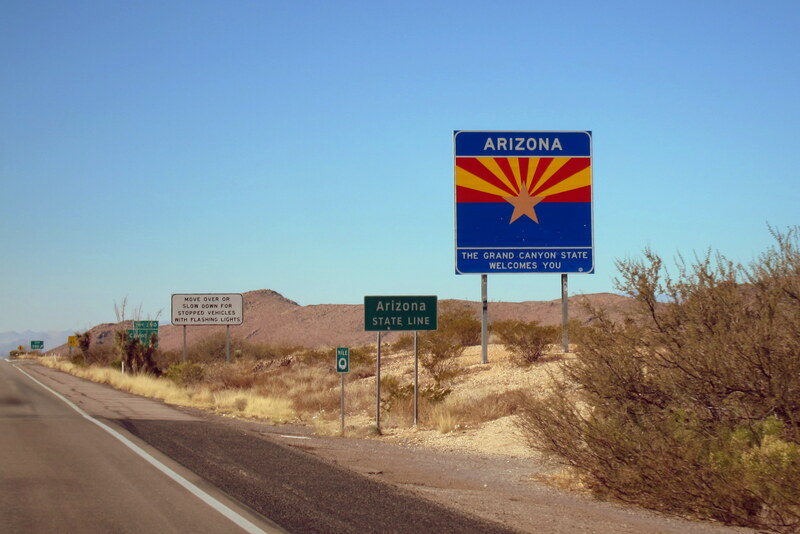 At 1120 we crossed the Continental Divide and an hour later we entered the great state of Arizona. Stopping at a roadside stand in Bowie, Kit picked up some pecans and jerky to add to our Truck Snack collection. What are truck snacks? Well, funny you should ask because I was just about to mention them. Truck snacks, or “toddler snacks” as our daughter Kim refers to them, are a large bag of goodies that we carry in the truck and keep supplied. Truck snacks frequently come in handy when hunger strikes and we either can’t stop or don’t want to take the time to pull over for a more formal meal. Kit and I have noticed more and more roadside rest areas have been closed, presumably as a budget cutting measure. One of our favorites in Texas Canyon was shuttered for the first time…..sad. Of course we tow our own “rest area” and only have to pull off onto a wide spot in the road to, um, rest. But the majority of the traveling public does not have that luxury. Cruising along on Arizona’s I-10 just to the east of Benson, we abruptly came to a crawl. Yet another group of knuckleheads decided to play bumper cars on the nation’s highways. This mishap closed one of the two travel lanes right near an interchange with a state highway. Not sure how folks figured that by exiting the interstate, crossing the highway, and reentering the interstate a few hundred yards further on down would benefit anyone, but many folks attempted it, thereby creating a few more lanes and further clogging traffic. One long haul trucker became agitated and used his rig to block two of the impromptu lanes much to the satisfaction of the more courteous and sane drivers. Finally back up to speed we mixed it up with Tucson bound traffic on our way to Dewey and Bea’s place north of the city. At 1615 we were backing into their spacious driveway, hooking up to their 30 Amp RV outlet, and setting up for what will certainly be an enjoyable two day visit. Dewey and Bea had been invited to a friend’s Christmas party on the night we arrived. When these friends found out we were in town they invited us as well. Kit and I had a nice time visiting and celebrating with a great group of folks! 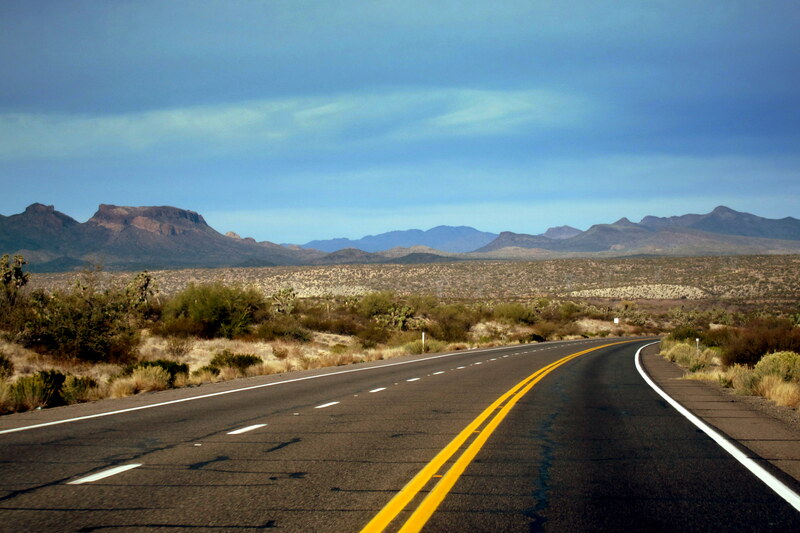 Saturday, December 19 and Sunday, December 20, 2015-Tucson, Arizona: This trip through Tucson was to be relatively short as we want to make it up to Las Vegas and spend Christmas with our youngest daughter and her family. We made the most out of the time we had by visiting and reminiscing about the past while enjoying some great home cooked food, and a few meals at some of our favorite dining establishments. Tucson was one of the incubators for the now nationwide “food truck” phenomenon. In the early days, these parking lot entrepreneurs were primarily Mexican’s who grilled authentic “south of the border” cuisine using traditional methods and ingredients. As the food trucks became popular, the owners had kinfolks open business at other locations, and at some point the more popular operations opened formal restaurants. 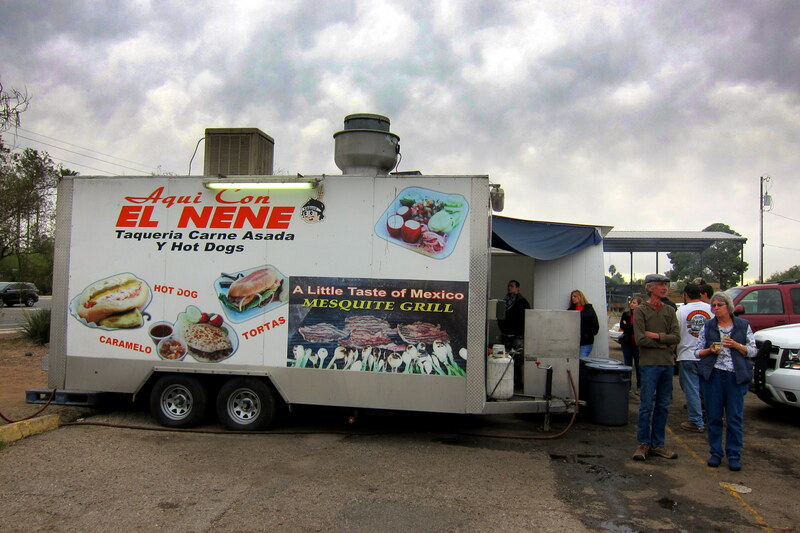 A favorite food truck of Dewey and Bea’s, and now ours, is Aqui Con El Nene. 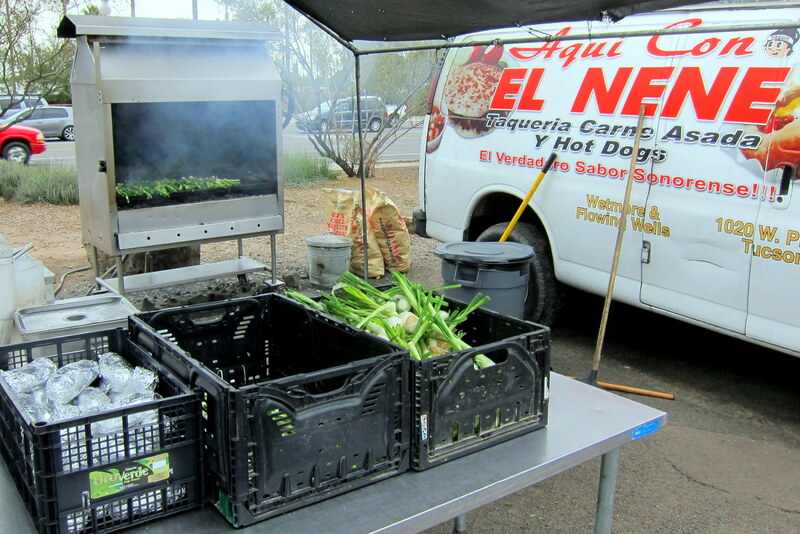 Operating out of a cargo trailer in a parking lot near the Flowing Wells part of the city, El Nene’s as it’s known, is one of the best sources for authentic food made in the Sonoran style. 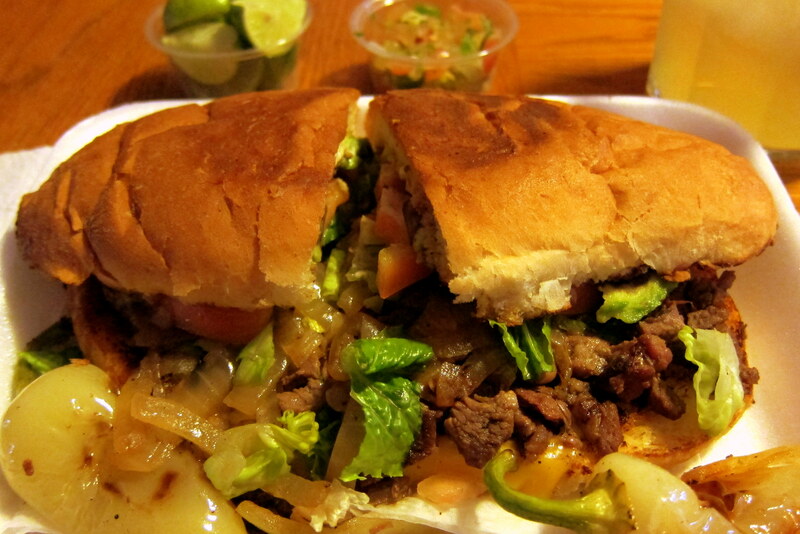 We generally order their signature Sonoran Hot Dog, but on this trip we were persuaded to try the Carne Asada Torta! It was incredible! If you’re ever in Tucson, find your way to the corner of Wetmore and Flowing Wells, and order one of everything on the menu…..you can thank me later! It seems odd to view Christmas decorations while wearing summer attire but that is Arizona! 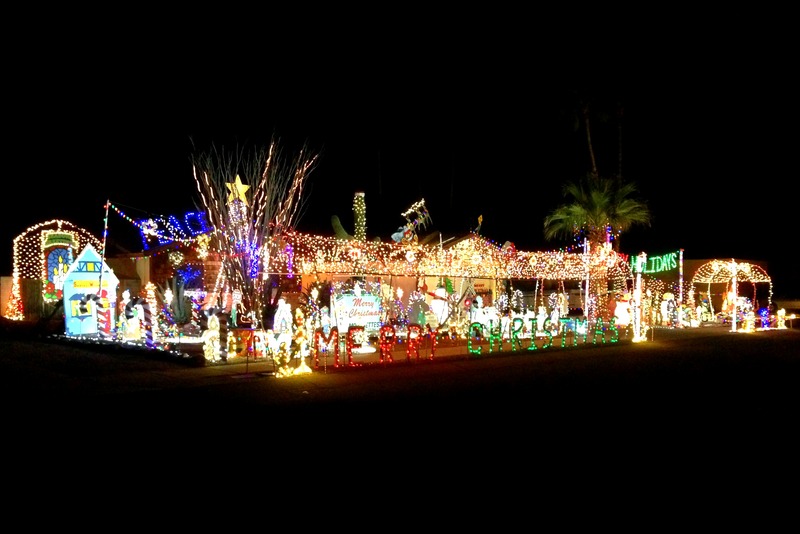 One of the better lighting displays on a private residence is nearby Dewey and Bea’s house. According to them, this place gets bigger and better every year and the festive display starts materializing shortly after Thanksgiving. In addition to Dewey and Bea, there are three other residents of the house, and they love to check out the neighborhood. Nile, Kali and Pillito enjoy exploring the hood with Bea, and I was invited along for the outing. After excitedly sniffing about and “marking their territory” (the dogs, not me!) they walked patiently on leash for the hour we were out. 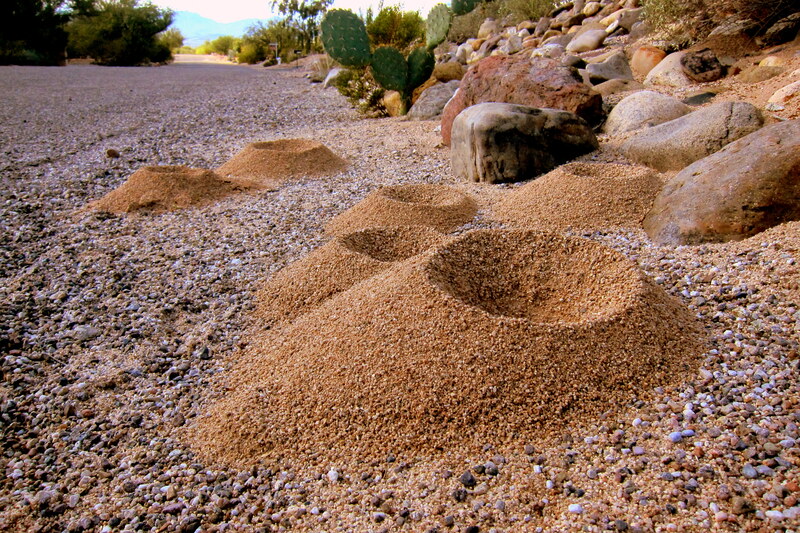 At one neighbor’s yard the dog’s spotted a colony of Leafcutter Ants. This species of ant can form one of the most complex societies on earth, second only to humans. Their vast interconnected colonies are only visible above ground by the large cone of tailings that surround the excavation site. So, how do Leafcutter’s gain their name? Yep, the foragers cut chunks of leaves and carry them back to the nest where they’re added to an active fungus garden for use by the colony. 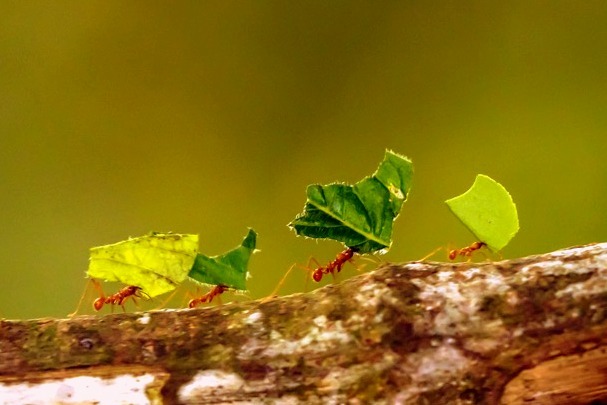 A large group of productive Leafcutters can strip a fruit tree of its leaves in 24 hours! 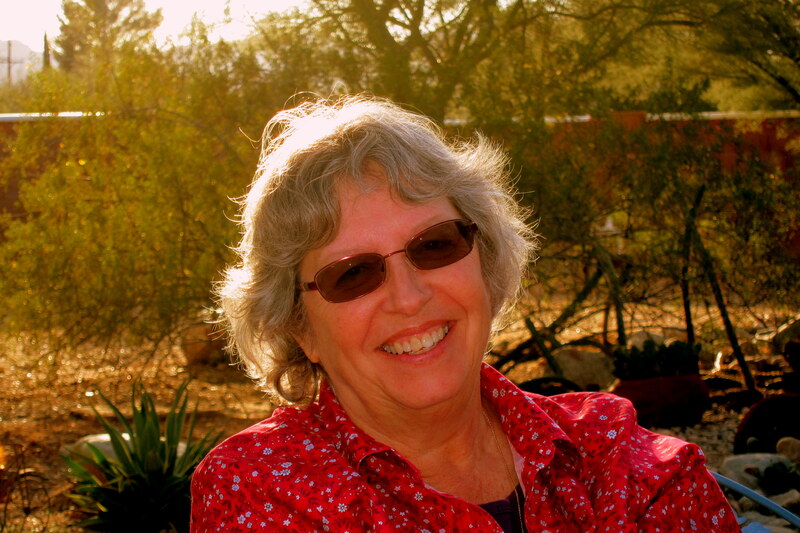 Kit and I spent the better part of the two days in Tucson visiting with these two wonderful people. Bea is a fantastic cook and she fed us well! The weather was nice enough that we enjoyed some of our meals in their beautiful desert garden. Can you tell how content Kit is? 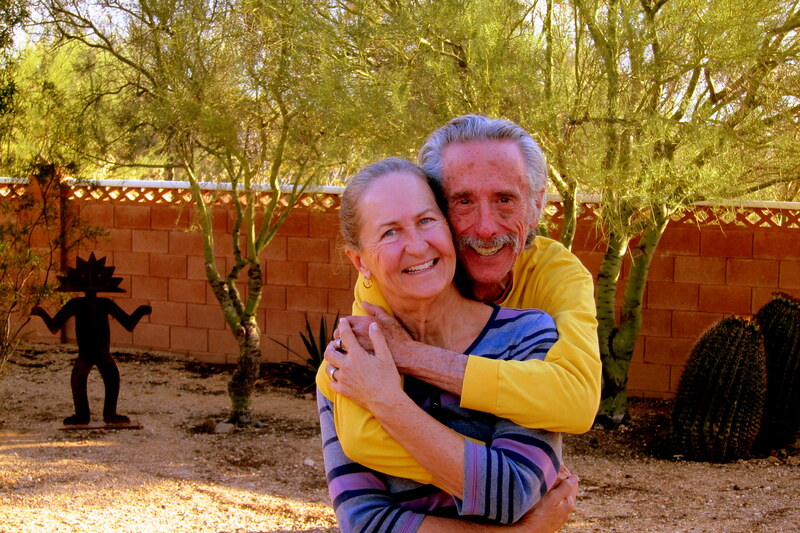 Kit and I love basking in the Arizona sun, visiting with Dewey, Bea, and Brother Dan, while drinking Margaritas and watching the sun sink into the western sky. 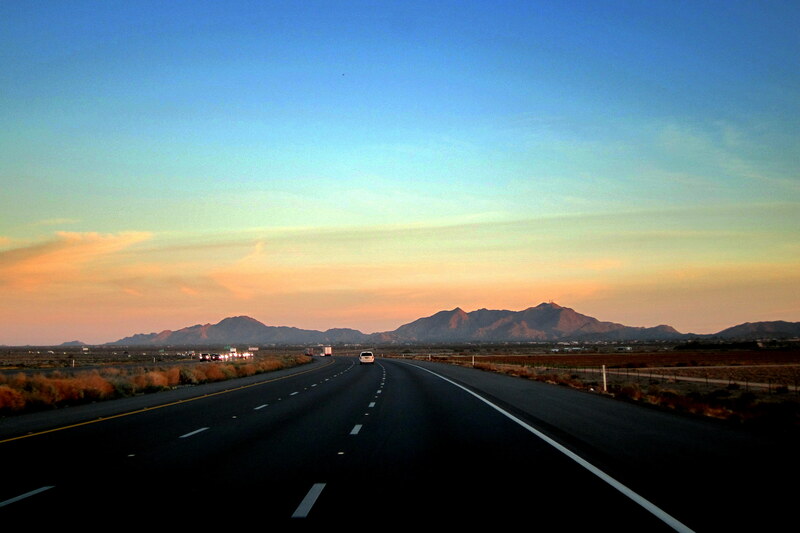 Tomorrow we hit the road for Las Vegas and Christmas with our youngest daughter and her family……goodnight. Monday, December 21, 2015: Up and on the road by 0623 under partly cloudy skies and a predawn temperature of 37 degrees. Jumped on I-10 heading west and skirted the City of Phoenix by way of the Bob Stump Memorial Highway. 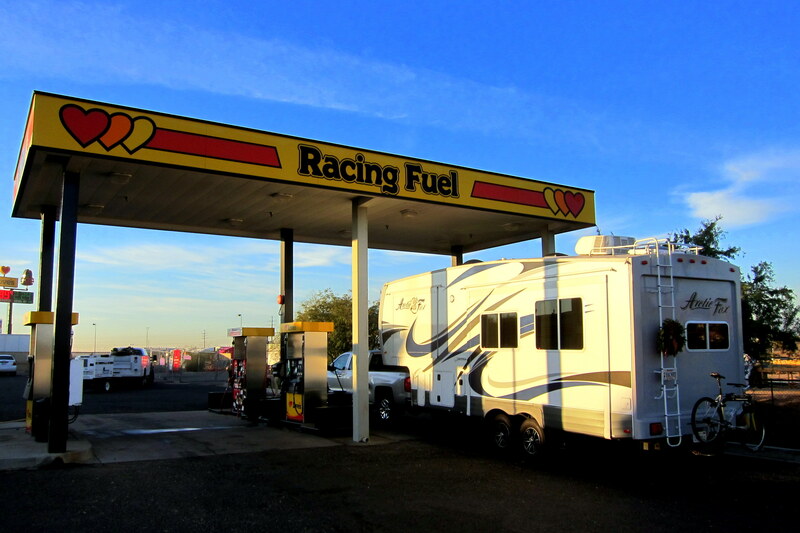 Needing fuel, we stopped into a Love’s Truck Stop just north of the city…..wanting to gain speed on this travel day, the shortest day of the year by the way, I investigated filling up with 115 octane racing fuel. As it turns out, racing fuel is very high octane gasoline and sold only for non-highway purposes. To economize on the number of fuel islands, this truck stop provides racing fuel pumps in the same island as RV diesel. I’m guessing this is so the folks that drag their high powered sand buggies to the surrounding desert have a convenient place to obtain fuel to power the beasts and the vehicles that tow them. On US-60 Kit and I continued to the northwest, pausing for a “walk around break” in the little town of Wikieup, Arizona. 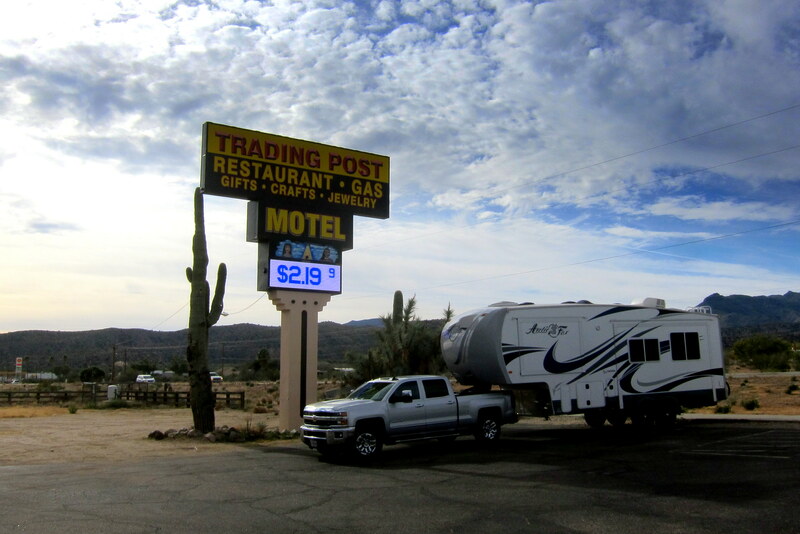 Where we found an old fashioned trading post to park the rig and peruse the numerous tchotchkes and western wear. 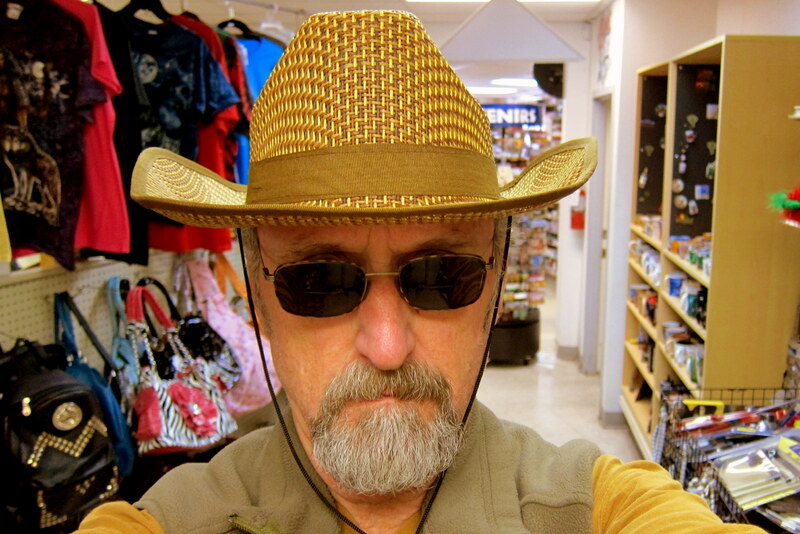 We bumped into this nefarious character wearing an authentic western cowpoke tchotchke chapeau. Yep, you are so correct…..I successfully merged four different cultural expressive words into that last sentence! 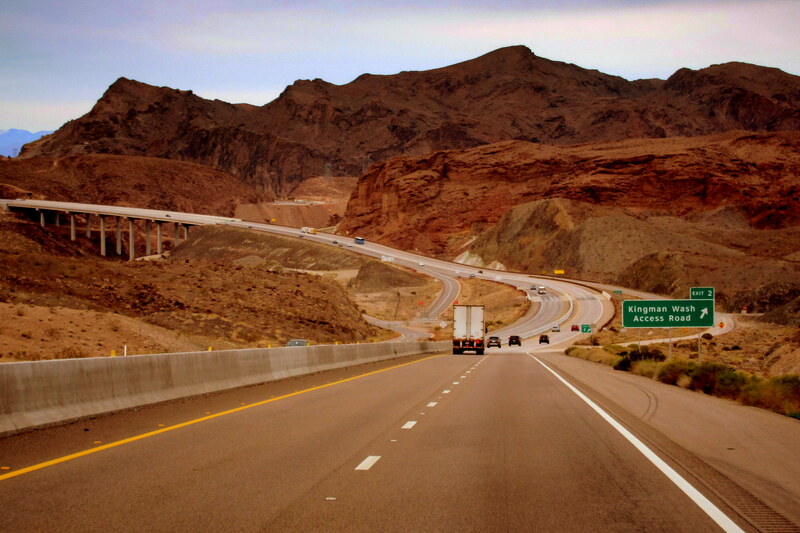 Back underway, we intersected I-40 which took us to Kingman, Arizona where we jumped over to US-93 North…..the future corridor of the new Interstate 11, if the feds ever build it. 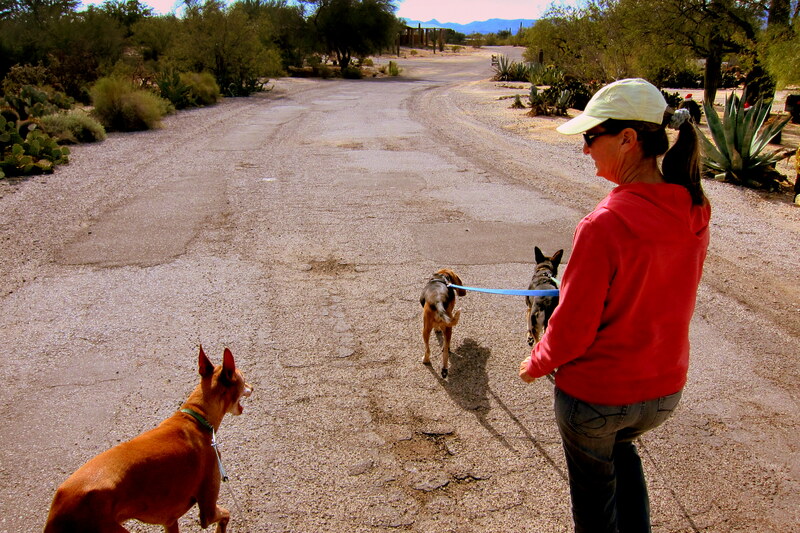 Around noon we crested Coyote Pass before descending the Black Mountains and slowly returning to the desert floor. An hour later, while nearing Boulder City, we were instructed by electronic signs to move over to the left lane before attempting to cross the Pat Tillman Bridge. At 840 feet above the Colorado River and prone to high winds, this recommendation seemed prudent. 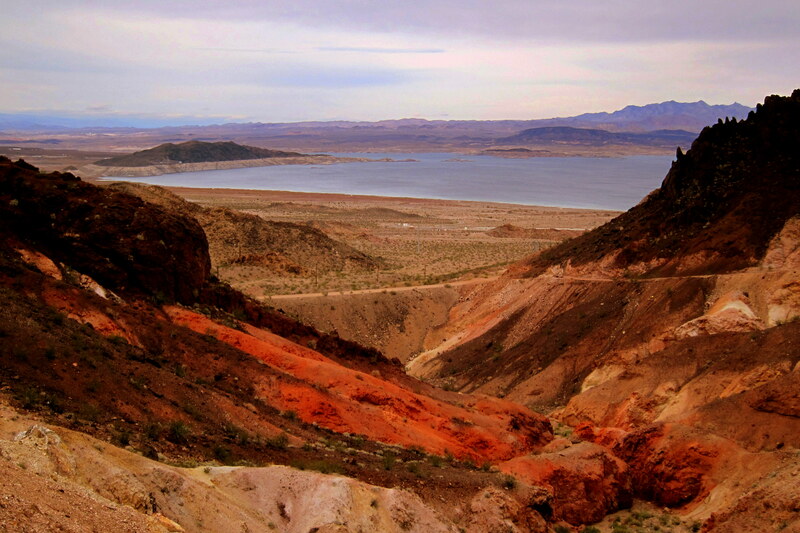 At 1300 we crossed the river, entered the Pacific Time Zone and the state of Nevada. Stopping for our final break of the day at one of the outlying casinos, Kit and I enjoyed lunch while viewing the expansive landscape that surrounds Lake Mead. 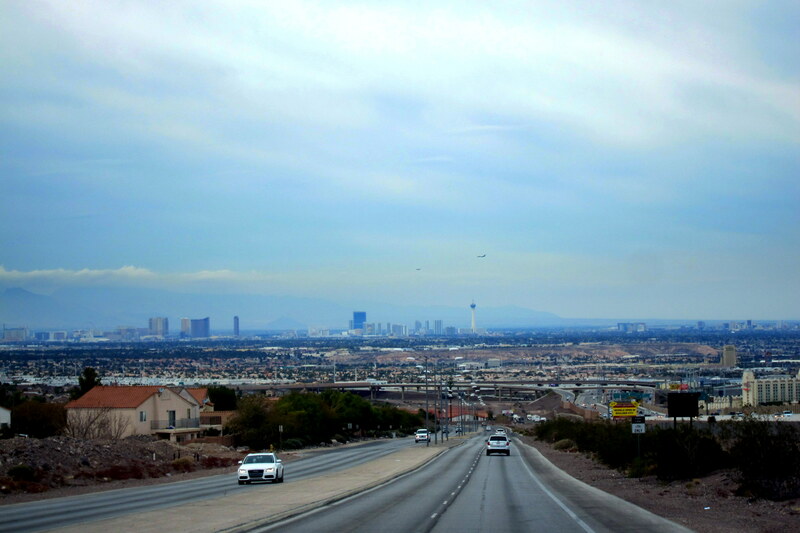 Back underway and about an hour later the skyline of Las Vegas came into view. 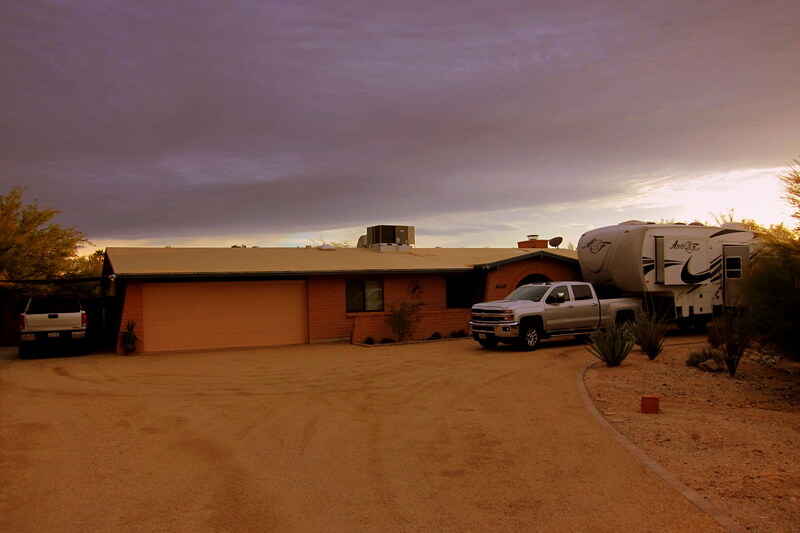 We stopped at our daughter’s home in south Vegas for a surprise visit, before finding our way to Oasis RV Park…..our home for the next two weeks. Kit and I are looking forward to spending Christmas and New Years with Suzie, Kevin, Jack and Tucker and have many things planned with our two youngest grandsons during their winter break from school. Before I close this issue of Bill and Kit’s 2016 Excellent Adventure, there are a few additional items I would like to mention. 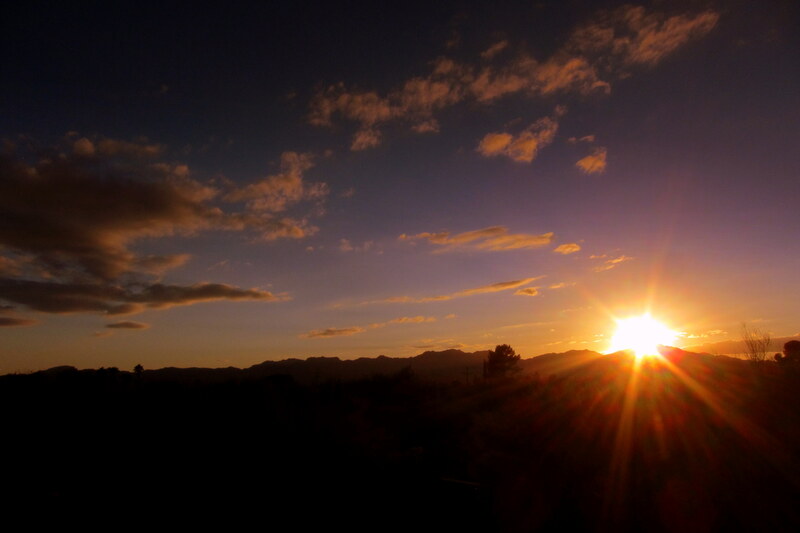 First, today is the Winter Solstice…..supposedly the shortest day of the year. Well, it aint! I checked……today has exactly twenty-four hours in it just like every other day of the year! First is a temperature meter to measure the heat output of truck and trailer brakes, hubs, rims and tires after a sustained period of driving. Over temperature of any these components could lead to catastrophic failure and an accident, so I generally check the temperatures with this simple device at every stop. 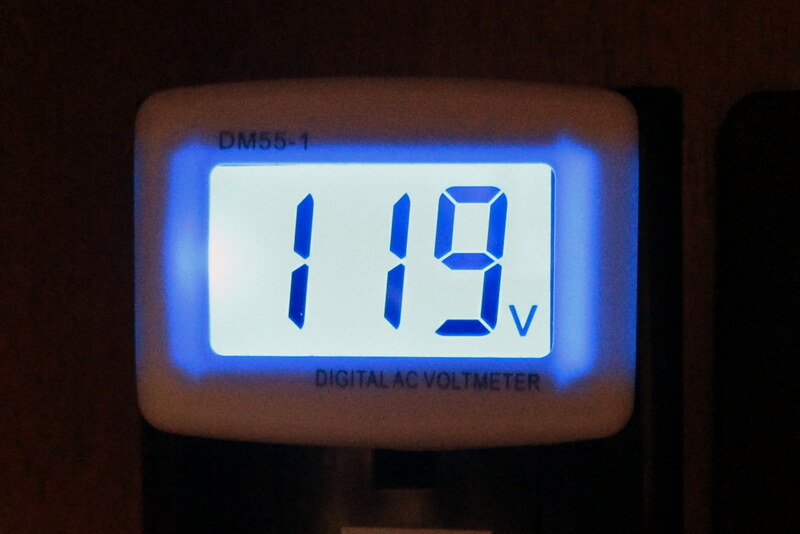 Next, a plugin digital voltmeter to check campground power is in the normal range of 114 VAC to 126 VAC. This devise plugs into any standard outlet and helps minimize the potential of damage to sensitive electronics by verifying the supplied voltage is within normal ranges. 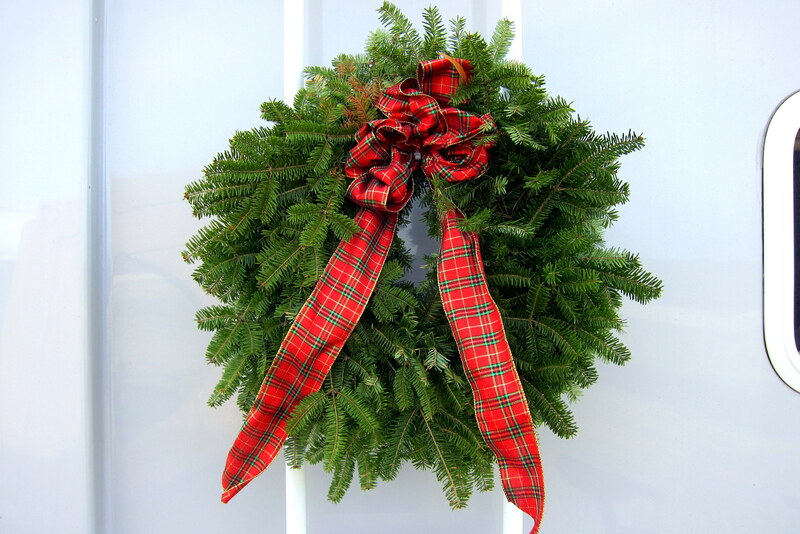 And last, but not least, here is this year’s Maine Christmas Wreath proudly affixed to the rear of our camper. Where it will remain until it transitions form lush green to desert beige, to highly combustible…..only then do Kit and I know we have truly arrived in the sunny and dry southwest. Kit’s Bit’s: Quite a learning experience we’ve had with the DEF thing. As frustrating as it was, (more for Bill, than me), I was very thankful it happened out here on a very long straight stretch of highway. Going 30 MPH along the shoulder as the other traffic whizzes by at 80 MPH can be a bit unnerving. However, I was so thankful we weren’t on the Jersey Pike! Imagine how frightening that would have been! All in all, it was a good learning experience. Good thing Bill is so patient with this stuff! Other than a few questions or comments, I just kept my mouth shut. Had I been in charge, I would have just called AAA and been done with it. Of course, it would help if we had AAA, which we don’t. Glad you are back on the road. So glad the truck issue wasn’t more serious. This journal makes me miss Arizona so much. I loved seeing the familiar scenery again. I’ve travelled some of those roads quite often. It is definitely a special area of the country… I’ve walked out on the Pat Tillman bridge outside of Las Vegas to view Hoover Dam …. very impressive! All’s well that ends well! Happy trails! So much fun reading about your adventures. I so hope that we can be as fortunate with repair issues as you have been. Tucson sounds like a definite stop. Happy New Year 2016! 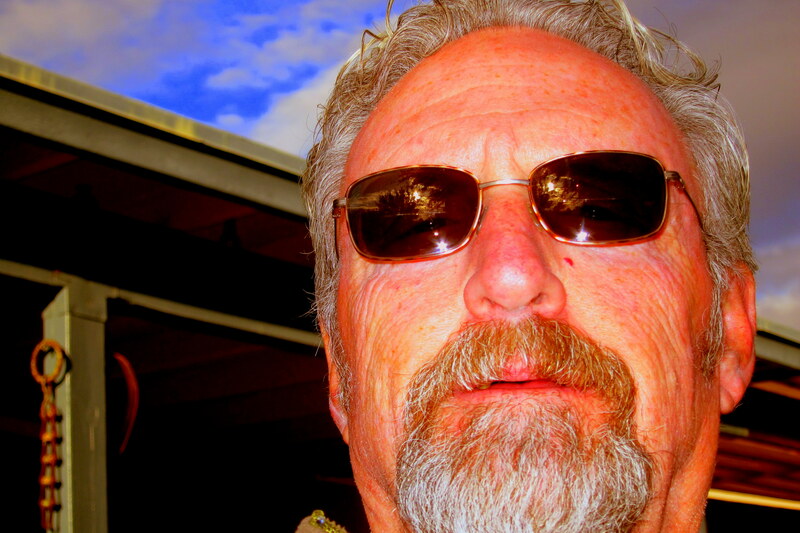 Super blog Bill. I felt like I lived your mechanical problem through your writing…. Stephen King has nothing over you. Vicky’s still in West Palm Beach for a few more weeks. I’ll fly down and join her in early February. Like the hat! You need to actually make a purchase sometime! Weather has been sad here in Maine (remember, I’m an avid ice fisherman!). See you in a few shot months! Good morning, A big rain and wind storm knocked out power for many in the state last night. our big generator kicked in at about 6pm and shut down about midnight. sure glad you didn’t have to limp at 30mph to the Chevy dealer. Sure some major changes since Jeanne and I owned the Olds Toronado diesel back in the 70s. Sounds like you have now purchased a monitor that will alert prior to a complete break down. All our snow is gone and the bay is opening back up, 4 geese here yesterday. Enjoying the journals! Be careful!! !